This morning I trained a luxury hotel that had just signed up for Revinate. I was showing them how Revinate’s new ‘Social Media Searches’ can help them identify guests who have ‘checked in’ to their hotel using Foursquare when I realized I had lost them. The team was confused by the idea that people could check in using a service other than their front desk. I was again clearly reminded that we’re not all social media geeks. Many in the hospitality world are thrown into social media and expected to just pick it up and run with it. The social media landscape changes every day, and many hoteliers are too busy with operations to stay on top of new social services. Living in the Bay Area, I am surrounded by people who travel with smart phones and eagerly check in and tweet at every stop along the way. But that’s not yet the norm. So for this post, I thought I would step back and provide some background for hoteliers on how to get started with Location Based Services. First, let’s start with the basics. Smart phones today can identify your location. And there are now popular mobile applications for phones that take advantage of this ‘location awareness’ by allowing anyone to ‘check-in’ to any place. ‘Checking in’ basically announces to their friends (and the world) that they have arrived somewhere. Loopt, Gowalla, Foursquare and Facebook Places are currently the most popular location based services. To check in, users launch an application on their phone, select their location from a list of nearby places, and then simply ‘check in’. While checking in, people also have the option to share their location with friends on Facebook or Twitter. Many people wonder what motivates people to check in. As an active user of Foursquare, I like to check in because my friends will respond with helpful remarks about my location. I can also see if anyone else is currently checked in to my location, or read tips from anyone who has ever visited the same spot. If it’s a restaurant, people might tell me what to order. If it’s a spa, friends will send notes of jealousy. 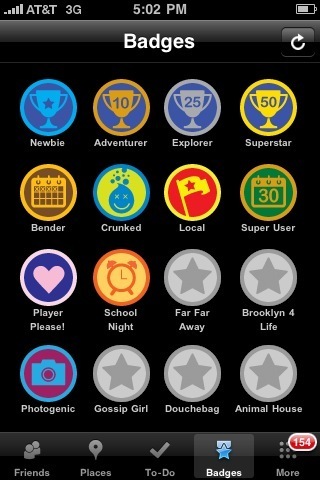 Part of the popularity of these services is that they turn check-ins into a game, where people are rewarded for checking in more than their friends, or for visiting certain places most frequently (Foursquare anoints these users “mayors”). 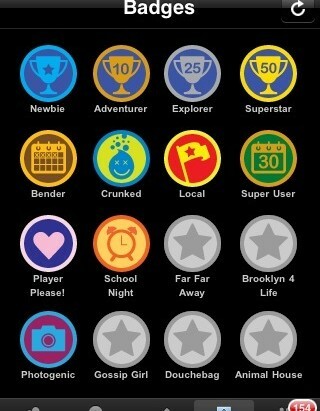 Services also award ‘badges’ when users meet milestones (such as heading out on the town multiple nights in a row). These services are also a great way to discover where your friends are (when bar-hopping, for example), and to discover great restaurants and even hotels (by keeping track of spots popular amongst their friends). In this way location-based services are a significant advancement in the trend of discovery shifting from search engines to social networks. So how do hoteliers get involved? First, hotels should ‘claim’ their listing on each service. In addition to mobile apps, these services have public web sites (eg http://foursquare.com) where you can search for your hotel and then ‘claim’ it. After you claim your listing you can update your information as needed, or even create special offers to reward people who check-in. Some services also allow you to post offers to people who check in nearby. For example, if someone checks in to the bar down the street, you could offer them a free drink to come visit your watering hole. Also, people who check in to your hotel often can become key influencers for your business, so it’s good to become familiar with them and possibly start a dialogue. These people are prime candidates for a ‘surprise and delight’ reward. Responding to people who check-in, or even thanking them personally in the lobby, will certainly create a fan.To make sure that you don’t miss people checking in to your hotel, you can visit your hotel’s profile. You can use a service like Revinate that picks up Foursquare and Facebook checkins (and we’re working on some great new functionality as well). Let us know if you have any questions or interesting experiences of your own. Nicely explained, Michelle. It will be interesting to see how relevant applications like Foursquare and Facebook Places become to the hotel industry – aside from F&B outlets. For now, I’d recommend that hotels build profiles on the main location-based applications and monitor them, but focus their energies on platforms that are more directly related to revenue and reputation. Thanks for the great post.